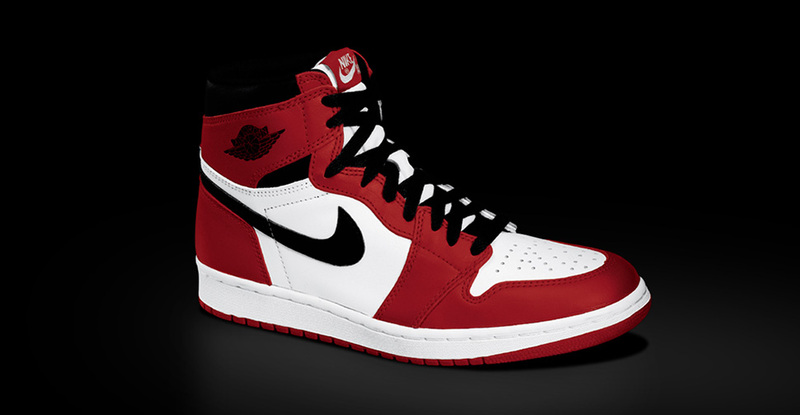 Air Jordans tha suaicheanta. Cha robh mi a 'cur orra mòran dhiubh a' fàs suas ged, oir mo phàrantan dhiùlt a cheannach dhomh buileach daor brògan. Cha robh mi 'ga iarraidh, ach bha fhios agam mi nach fhaigheadh ​​mo làmhan air paidhir. Mar sin bha mi a 'fheudar do dèiligeadh - le bhith a' leigeil orra nach robh ann. Chaidh fada bliadhna no dhà a 'feuchainn ri toirt a chreidsinn gu bheil mi fhìn Reebok chrois brògan-cleasachd bha Stylish. Ach mar a fhuair mi nas sine, Dh'aithnich mi Jordans bha cruaidh gus leigeil seachad. Uile dhe mo charaidean Bha paidhir no dhà, agus aon de mo chàirdean Chaidh downright coma còmhla riutha. Mo charaid a ghlacadh le Jordans rinn aithris. Co-dhiù no nach eil fìor, bha e ag ràdh ard agus shoilleir gu bheil na brògan a bha luach ath ur beatha. Dè an seòrsa aithris a dhèanamh do bheatha? Dè tha thu ag ràdh? Ann mo Air dreuchd, Tha mi ag argamaid gum bu chòir dhuinn ar cleachdadh faclan gu uaill ann an Dia an àite fhìn. Agus chaidh mi fiù 's nas fhaide, ag ràdh gu bheil Dia a rinn sinn airson gun adhbhar. Ach chan eil mi a 'smaoineachadh ar bragging bu chòir a bhith cuibhrichte gu ar faclan. Chan ann a mhàin bu chòir dhuinn a chur air an Tighearna le ar bilean, bu chòir dhuinn cuideachd a chur air Him le ar beatha. H-uile càil a nì thu a 'dèanamh aithris mu Dhia. Gach min sibh ag ithe, a h-uile deuchainn a tha thu a 'gabhail, every hour you work says something about your Creator. So even if you choose to keep your mouth closed about Him, dòigh-beatha agad fhathast gu leòr a ràdh. Tha a 'cheist: dè tha thu ag ràdh? Ann aige as ainmeile searmoin, Iosa ag ràdh seo: "Leig ur solas Shine mus feadhainn eile, so that they may see your good works and give glory to your Father who is in heaven” (Matthew 5:16). Iosa ag innse dha luchd-èisteachd a 'fuireach soilleir beatha, làn de dheagh Innleadaireachd mus feadhainn eile. Ach mothaich thu chan eil e ag ràdh, "Gus am bi daoine a 'faicinn mar a tha iongantach Crìosdaidhean." An t-amas nach eil ar glòir, ach nach dèanadh càch "thoirt gu glòir [againn] Athair a ta air nèamh. "Tha ar deadh oibre daonnan a 'comharrachadh ar Dia math. Smaoinich mu dheidhinn. Dè tha e ag ràdh mu Dhia ma tha sinn fèineil daoine a Dèilig ri daoine eile mar sgudal? Dè tha sin a 'conaltradh gu chriathar? Neo-mhàin gu bheil e ag ràdh gu bheil an cruthachadh Dhè eil luach sam bith, ach tha e cuideachd a 'conaltradh gu bheil sinn am meadhan na cruinne-cè. Chan eil gin de na rudan sin a tha fìor, agus tha sinn a 'fìrinn, na laighe mu Dhia do dhaoine eile. Ach ciod ma àite, bha sinn direach selfless agus chuir sìos ar beatha airson ar nàbaidhean? Dè ma thug sinn cho fialaidh gus cuideachadh a 'coinneachadh ri feuman dhaoine eile? Dè an seòrsa aithris a dhèanamh gun robh mu Dhia? Tha e a 'conaltradh gu bheil sinn nach eil am meadhan na Universe agus gu bheil rudeigin grand a' caitheamh ar beatha airson. Tha ea 'sealltainn an cruthachadh Dhè gu bhith air a mùirn, agus gu bheil sinn ag iarraidh a ghràdhachadh, feadhainn eile mar a tha sinn air a bhith measail le Him. A h-uile co-dhùnadh a nì thu e an cothrom a bhith an sgàthan, a 'nochdadh maitheas agad Maker. Tha gach dàrna S e cothrom a bhith a 'cumail sùil air, showcasing snapshots of His glory. And when those around us catch glimpses of that goodness, gheibh sinn ri innse dhaibh gu bheil ar solas a-mhàin Dim meòrachadh a. Is e an fhìrinn, bragging le ar beatha agus air ar bilean a 'dol làmh air làimh. Ma tha sinn a-mhàin chur ri ar beatha, faod daoine a 'gabhail sinn dìreach snog daoine. Bidh iad eil fhios cò-eignich dhuinn fuireach cho math beatha. Agus ma tha ar faclan ag ràdh Dia e iongantach, ach ar beatha ag ràdh a chaochladh, ar tagraidhean creideas a chall. Feumaidh sinn a dhèanamh an dà chuid. A bheil do bheatha ag ràdh nithe mòra mu Dhia? Do tapaidh gleus steigear agus Christian tattoo nach eil gu leòr. Dè tha agad checkbook ràdh? Dè do eadar-obrachadh le daoine eile ag ràdh? Dè tha agad an obair chruaidh ràdh? Tha fios agam gur iad a dheanamh aithreachais làitheil de fàilligeadh air a chur ris mar bu chòir dhomh. Tha Dia àrd os cionn a h-uile, mar sin nuair a tha mi a 'fuireach ann an dòigh a tha a' dèanamh Him coimhead beag mi a 'fuireach breug. A bheil càil ann an Universe nas luachmhoire na Gun rangachadh feise, no obair adhartachadh, no paidhir Jordans? Gu dearbh tha. Dèan cinnteach gu bheil do bheatha 'dèanamh sin soilleir. Dh'fhaodte gur e mar doirbh obair, ach na gabh dragh - tha thu a chaidh a thogail air a shon. This is so insightful! Thank you so much for making me understand this…Gum beannaicheadh ​​Dia thu! mòr dreuchd!!! Beannaich Dia dhuibh agus do ur teaghlach. Another great blog! God is really using this in my life. Great perspective for us 80s and 90s kids who remember the Jordan era vividly. Gu mì-fhortanach, I still see some of that kid in me and many times don’t realize it until after I’ve reprioritized just enough of my life to make a mess of things. Praise the lord for his grace and forgiveness! Glad I ran across your blog, keep writing for Him. I’m really enjoying your teaching. It’s definitely one of your gifts! i cant get enough of this. Great insights and teaching Trip!! Gave me a lot to think about.. This is so touching. It really makes you wonder how much is God’s light really shinning through your life. Time for me to make a rain check and a good evaluation. Thanks is what I really struggle with, using my words to spread God’s glory. I like to let my actions do the talking, but that’s not enough and I’m becoming much more aware of that. Thanks for this and encouraging me to really go out there and spread His Word. I’m actually going out on my campus later to talk to people about Jesus. Gotta brag on Him! This is indeed a very tough subject. But what about Christianity is easy, deas? The difficulty for me arises in living my life so that people see that it is the light of God shining and not just the light of another nice guy. Question for the community: What are a few nonverbals that we can incorporate so that people can differentiate our lives from the lives of other “snog & serving” daoine? I am simply floored by GOD’s overwhelming conformation by way of your blog. In two separate occasions, we basically wrote about the same things. I’d love to share my writings with you. I even did the Jordan comparison and all!!!! As well as Matthew 5:16. Please let me know where I can share my own writings of self conviction. I indeed have a powerful responsibility of my pen and it is more evident after reading your blog!!! Taing airson roinneadh!!! Great dreuchd! Challenged and encouraged. Wow- nailed it! Thnk U, for allowing r gr8 God 2 use U to speak truth! I LUV the lyrics & try my hardest 2 live by: ‘Let my life be the proof of YOUR LOVE’. Everyday I pray, ‘Lord, use me for ur Glory today’. Let’s BRAG on! For the LORD. U Rily ar a blessin to many esp me! Thanks for this! Your insights are encouraging and convicting. I def don’t give God the credit with my mouth as I am called to do. Good to see the Word in that we are called to boast…agus 'se rud math! This site is amazing ,very encouraging. Will be sharing your sermons with our youth. Your music has already inspired them, to have another way to give them God’s word that they will be receptive to is always such a blessing. Thank you for answering the call. Gum beannaicheadh ​​Dia thu.